The unspoken principle which rules our society can be stated like that: every citizen is a potential terrorist. But what is a State which is ruled by such a principle? Can we still define it as democratic State? Can we even consider it as being something political? In which kind of State do we live today? In the early hours of the 16th of December, riot police in Barcelona and Guardia Civil in Madrid, on orders from the national spanish court, the Audiencia Nacional (inheritor of Franco’s Public Order Tribunal and concerned among other things with crimes of terrorism), descended upon anarchist collectives and the private homes of anarchist activists, with the purported aim of dismantling terrorist groups of anarchist inspiration. The charges of terrorism are farcical, but in the permanent state of exception of the reign of State Security, everyone is a potential terrorist. Police interventions against political activists and social movements, especially after the emergence of the 2011, 15th of May movement, are not new; indeed, they have increased exponentially. And autonomous spaces, sometimes of anarchist affiliation and sometimes not, have often been targeted. That the anarchists have been targeted on this occasion is both testimony to their activism and to the fear of the State. But it is ultimately not the anarchists who are the principal object of this intervention: it is the people of spain being told to mind the law and the authority of the State and at the same time that their safety depends on the State’s ability to act against any possible future or potential terrorist. Neoliberal State-Capital governs through crisis. It is not its aim to overcome the crisis, addressing what might be considered its causes. It is rather a form of government that responds to the effects of crisis, the presumed disorders that render its rule less than efficient. (Giorgio Agamben) The anarchists are but potential disturbers, but their numbers, their activities and organisations hardly account for the mass militarised police intervention of “Operation Pandora”. But again, the final target was not the anarchists, but everyone in spain, and beyond, who as increasingly reduced to precarious survival, must be made to see that that survival rests on an order of inclusion and exclusion and that their obedience is the very condition for survival. 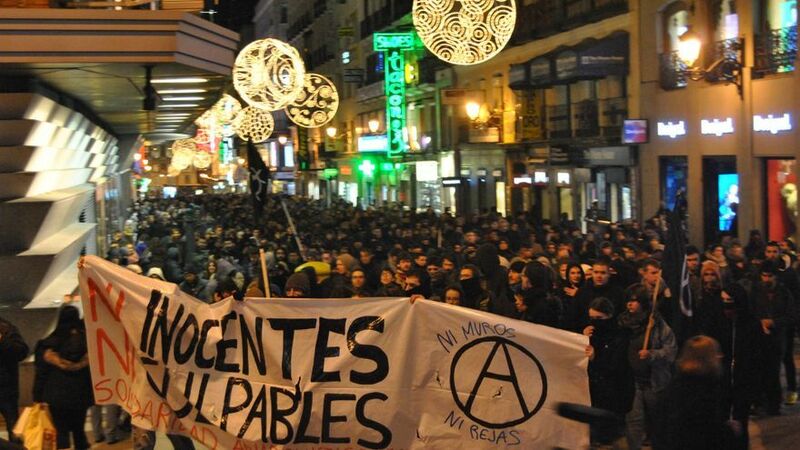 The CNT’s statement on the arrest of anarchists for terrorist activity turns the tables on the authorities: “Organised and institutional terrorism is the Ley Mordaza, the labour reform, unemployment, evictions, the dismantling and privatisation of health, education and public services in general.” One could add to the list. And as we look upon this crumbling world, created through past struggles, the spectacle of State power and fear blinds us to ever increasing iniquities of wealth, corruption and authoritarianism; we are impotent until we can learn once again to say we; in this instance, we are all anarchists. 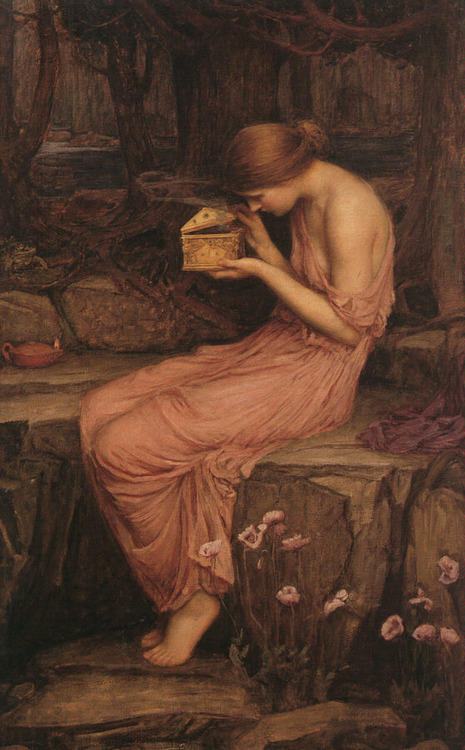 There is paradox in the spanish authorities choice of the name Pandora for this police repression, for Pandora’s name in greek myth is invariably associated with evil, whether of her own making, or of what she is the bearer of. And yet, she also carries with her hope. Let that hope today be instead rebellion. This entry was posted in Commentary, News blog and tagged anarchism, spain. Bookmark the permalink.